John Naughton in Monday’s Guardian wrote about the WikiLeaks saga and concluded his piece with a statement about the new reality. approach won’t work. WikiLeaks does not depend only on web technology. besides – are out there, distributed by peer-to-peer technologies like BitTorrent. behaviour; or they shut down the internet. Over to them. While most of the talk has centered around the massive political ramifications of the leaks, there’s also the corporate impact. Wikileaks was supposedly primed and ready to leak some very damaging internal documents from a leading bank, but It remains to be seen if this now happens. Irrespective, of the future of the founder of WikiLeaks or of the organization itself, the trend towards greater transparency is out there as are the means to make it happen. Corporations and their brands will have to assume a position, which will have a significant impact on their relationship with consumers in a more open, dynamic and human world. 1. What do they open up and what do they close? 2. By operating a “lock down” mentality- do they risk damaging their brand? 3. How do they become more transparent? 4. What tools would they use to display and demonstrate this transparency? 5. 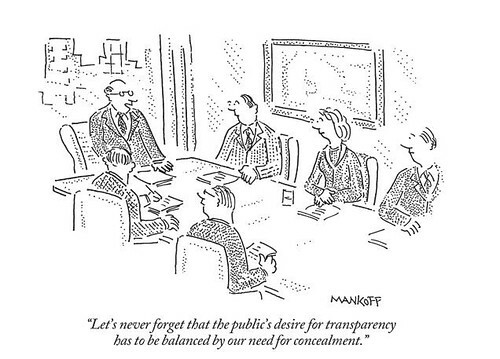 In what ways might greater transparency provide competitive advantage? 6. How do they control employees- what can they say and where can they say it? 7. Response- How do you and should you respond to rumors? 8. How would you respond to a massive leak that reveals multiple issues? I am assuming some of these questions might be part of a social media audit or an audit by a PR company, but I imagine they might be looking at things through different lenses, pre-Wikileaks; one might be a single issue crisis management and the other might simply be the the competitive pressure to engage in social media and the new rule sets that surround it. A WikiLeaks scenario is a game changer that re-writes the old rules. It’s a situation where company secrets are dumped on such a massive scale that they rock the core of the corporation, forcing its very existence called into question. This would be tough and an almost impossible scenario for anyone to respond to, but it’s a potential reality. However, if you have some plan in place and also make steps to becoming a more transparent organization, perhaps you could anticipate this potential nightmare scenario, a little better. The real response from corporations to WikiLeaks, I believe will be a little different. While Naughton suggests in his Guardian piece that politicians don’t really have the option to shut down the internet, inside corporations they won’t shut the internet down, but access might be limited and usage monitored, lawyers will become more aggressive and there will be more of a “lock down” approach. They will do anything and everything to stop information from escaping. The brand consultants and the legions of planners who’ve recently been actively arguing for their brands to be more open, will soon discover that WikiLeaks might not be the force for change they were hoping it could have been. Instead they will find clients holding it up as a reason and an excuse to do the opposite. While the negative impact on efforts for radical transparency will be obvious, i am also going to assume that even doing interesting and more open experiments with social media has just gotten that much tougher. Please note that the image above was stolen from Colin Drummond’s Posterous. Couldn’t brands be more topical?